Trump has found the enemy and he is the free press. The enemy is those journalists who died covering the war on terror. The enemy is those of the White House press corps who ask Trump to justify his false “facts.” The enemy is those investigative journalists who expose corruption. The enemy is those journalists who speak out in defense of our democracy. Here is Daily Kos’ story on Trump’s declaration of war in It Begins. A few minutes ago, Himself upped the ante. That’s right, patriots. Those reporters going through statements and documents, chasing down multiple sources before presenting a painfully objective picture of what your government is up to are your enemies. The institution that the man who wrote the Declaration of Independence called “the only security of all” has been declared your enemy. And, being good patriots, you know what you have to do when threatened by an enemy, right? The last conservative with guts enough to stand up to Trump is our own Senator John McCain: ’That’s how dictators get started’: McCain criticizes Trump for calling media ‘the enemy’. Here are snippets from the Washington Post story. In the “Meet the Press” interview, McCain told Todd that a free press was central to a functional democracy, even if news organizations’ stories challenged those being held accountable. Then McCain got serious again. These days, it is difficult not to notice McCain, whose dissenting voice can be heard — and is often amplified — criticizing Trump. In the four weeks since Trump’s inauguration, McCain has made headlines rebutting White House press secretary Sean Spicer and ripping Trump’s worldview in a speech in Munich without ever mentioning the president’s name. In the wide-ranging profile, which covers everything from Supreme Court justice nominee Neil Gorsuch to Trump’s poll numbers, McCain also defends the news media in relation to leaks that have come from the Trump administration. Photos of journalists killed while reporting news. In the backlash to [Trump’s] tweet, #NotTheEnemy began trending, with people sharing stories about journalists who had dedicated their lives to — and, in some instances, paid the ultimate price for — reporting the news. 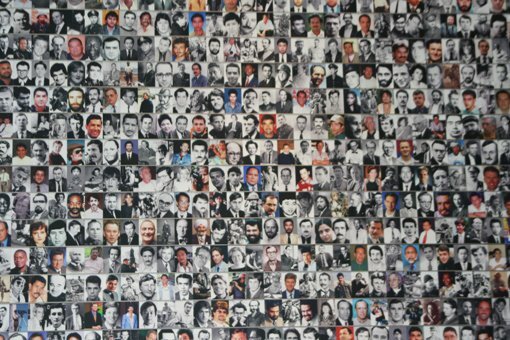 2,291 journalists killed while doing their job are memorialized at the Newseum. Here, from Daily Kos’ It Begins is the view of Thomas Jefferson on Trump without newspapers vs. newspapers without Trump. A free press is not the enemy of the people, but it is the enemy of dictators. So is a universal public education. The press provides Jefferson’s newspapers and public education provides for an informed citizenry capable of reading them.